Christmas is just around the corner which clearly means there is a whole lot of pressure upon us to choose only the most perfect gift for our loved ones. However, this entire concept of gift-giving isn’t as complicated as we have made it with our ridiculously irrational ideas of buying something that is pricey, shiny, trending, and useful. Well, there are a whole lot of other stupid criteria that we usually follow before buying gifts but we really don’t feel like mentioning. 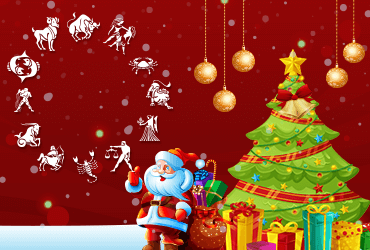 Christmas horoscope reveals everything you must know! If there is something more exciting for an #Aries around the holidays, it is definitely an adventure. They always seek something that’s action-packed, something that kicks their adrenaline. If you really want to gift these people, gift them something challenging and unusual. The surprise would make them happy. Read your entire Aries Daily Love Horoscope. Taurus just loves the fine little details in everything so while finalizing a gift for them, make sure you take your time. Put a great deal of thought into what you are buying because they don’t care for the price but the gesture behind it. We would advise you to go for something classy and timeless. Read your entire Taurus Daily Love Horoscope. Buying a present for a #Gemini is probably the easiest. And that’s mainly because they are pretty expressive. They’ll drop plenty of hints and if you are lucky enough, they might even tell you what they want but of course, it would be thinly veiled in humor. Read your entire Gemini Daily Love Horoscope. Cancer is the most emotional sign on the wheel so they would appreciate your efforts more than anyone. However, it doesn’t mean they won’t expect something meaningful. Try and buy something which they can treasure for a long time. They’d be delighted! Read your entire Cancer Daily Love Horoscope. Sun controlled Leo loves to be the center of attraction at everything. So not only the gift but the way you are presenting it to them is equally crucial. The more elaborate your presentation, the better it is for you. However, as far as a gift is concerned, try buying them something premier stylish and trending. Read your entire Leo Daily Love Horoscope. Virgos are traditional, easy going and grounded individuals. They would appreciate anything that makes their lives easier so try and get them something similar. We would guess some kitchen gadgets, gardening tools, or maybe a new book would work just fine with them. Read your entire Virgo Daily Love Horoscope. Librans, as you might know, are all about class, character, and balance. They love getting presents. Now the important thing to note is that they are overly romantic so if your gift has something to do with love, then there is no better option, just go with it. In fact, asking them out to dine together won’t be that bad either. Read your entire Libra Daily Love Horoscope. There is always a certain sense of mystery allocated to the #Scorpion personality. They would appreciate receiving something that’s dark and mysterious. And you know it too, there is a heck lot of things that you can buy from the genre. Read your entire Scorpio Daily Love Horoscope. Sagittarians love traveling and that’s an extension of their thrill-seeking personality. They are adventurous and witty so gifting them something that would stimulate the feeling of going someplace nice would make them extremely happy. Read your entire Sagittarius Daily Love Horoscope. Capricorns like to work to the best of their capacity because they are the dark horses of the zodiac world. They are keen observers, thinkers and prefer being practical over emotional. A gift with a certain value of sincerity to it would work fine with these people. And it doesn’t have to be pricey. In fact, they would love it if it’s not pricey. Read your entire Capricorn Daily Love Horoscope. Aquarius may not be fond of collecting things but they do love objects that are unique and has a riveting backstory to them. I think you know what to gift them. Maybe a piece of art or an ancient relic would get them insanely excited. Read your entire Aquarius Daily Love Horoscope. Pisceans are funny, romantic, and creative individuals, making a gesture wonderful enough to win them over isn’t very easy. Although using a little trick would help. They belong to the element of Water so try gifting them something related to water and plus something which is fragrant. Read your entire Pisces Daily Love Horoscope.